Missing one or more teeth can severely influence your daily life. It can affect your general health, your appearance and self-esteem. It is recommended to replace missing teeth as soon as possible and below are a list of reasons why. In the same way that exercising your body helps keep muscle tone, jaw bone mass is maintained through the stimulation of chewing and biting. When a tooth is missing, the area of bone where the tooth was originally located no longer receives such stimulation and it starts to disappear, a process called resorption. Without a neighboring tooth to keep them in check, remaining teeth may start to drift. This could make it difficult to bite and chew if the teeth are no longer aligned properly. 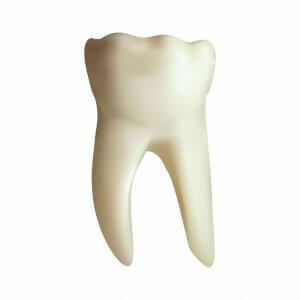 Furthermore the drifting of a tooth can destabilize its roots, leading to a wobbly tooth or outright loss. Without teeth being in place to support the face, a person’s facial features may start to look distorted, with sunken cheeks and skin wrinkling around the mouth. When teeth are missing the remaining teeth have no opposite number to rest on or bite against. The remaining teeth may start to over erupt and cause damage to the opposing gum. Not only does this cause gum and facial pain, but with time the situation causes stress at the jaw joint leading to chronic headaches. A lack of teeth can make it difficult for people to pronounce certain words properly and they may have a whistling sound when they speak. When people can not bite and chew their food properly without pain, many simply eat less or choose to eat only soft food which does not provide them with all the nutrients they require. Consequently this takes a toll on the health of their whole body. If teeth are lost from the back upper jaw, the sinus cavity which lies above, will start to expand and erode the jaw bone. To learn more about replacing missing teeth with dental implants, contact Prestige Oral Surgery at 732-297-7000.